Check out the Panasonic AG-AC30! A handheld camcorder with superb low-light characteristics and many professional features and tools, enabling the user to capture beautiful zoom shots and large groups thanks to its wide focal range (zoom 20x and 29.5mm wide angle). 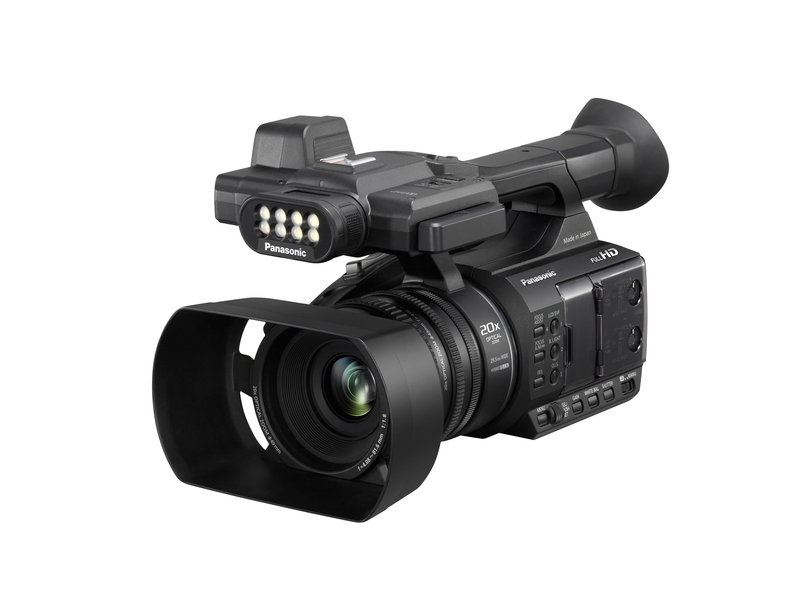 DON’T MISS the Panasonic AG-DVX200 4/3-type fixed lens 4K camcorder. Place your order TODAY! Encore is now a dealer and integrator for Ikegami as they celebrate their 50 year anniversary! We have the amazing 3-COS HDTV Camera System HC-HD300 in stock and ready to demo! Contact us today to see why you need this affordable solution. AJA Debuts NEW Production Camera – NOW SHIPPING!!! CION™ is the new 4K/UHD and 2K/HD production camera from AJA. Unite production and post by shooting directly to edit-ready Apple ProRes 4444 at up to 4K 30fps, ProRes 422 at up to 4K 60fps, or output AJA Raw at up to 4K 120fps. NOW SHIPPING!!!! The power of Makito X brings customers low latency and superior quality using less bandwidth! Sennheiser’s Evolution Wireless G3 is your entrance to the professional league of wireless sound transmission. The system’s technical range is unique-and truly breathtaking at this price. Evolution wireless G3 exceeds both its predecessors and competitors by a wide margin. This starts with the ease of use, carries through to the enormous switching bandwidth, and ends with the robust construction.